Dawn has a background in psychology and osteopathy. She practised osteopathy for many years in the private sector and the NHS. In 2002 she undertook a PhD exploring aspects of chronic pain. Since completing her PhD she has remained working in research conducting both quantitative and qualitative research. Her interests centre around the management, treatment and care of those with musculoskeletal pain. Dawn works in research at Barts and The London School of Medicine and Dentistry, which is part of Queen Mary University of London. She manages a variety of research projects and a list of her publications is provided below. In May 2012 Dawn was appointed Director of NCOR. Her role is to manage and develop NCOR, work with a variety of stakeholders to devise strategies and advocate and promote research awareness and research amongst osteopaths to advance and optimise patient treatment and care. Since 2015, Dawn Carnes has worked as “Professeure spécialisée” at the School of Health Sciences Fribourg (University of Applied Sciences and Arts Western Switzerland – HES-SO) and her research currently focuses on the self-management of chronic musculoskeletal pain. Her role has two remits: i) to establish a musculoskeletal research unit and ii) to embed research into the osteopathic education programme and continuing professional development. 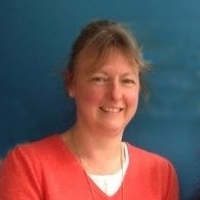 Carol Fawkes graduated from the British School of Osteopathy in 1988 and was awarded the Diploma in Osteopathy; she graduated from the British College of Acupuncture in 1992 with a Licentiate in Acupuncture. 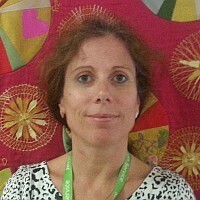 Carol was awarded a PGCert in Evidence based in Health Care in 2006 from University of Oxford. She completed an MSc in Health Care Research Methods in 2005 and was awarded her PhD in 2017 at Barts and The London, Queen Mary’s School of Medicine and Dentistry. Carol was appointed Research Officer for the National Council for Osteopathic Research in 2004. Her professional responsibilities involve running a network of research groups in the United Kingdom. These small groups undertake a variety of small projects and investigate a variety of topics using research evidence to inform practice. Carol has been involved in the development of a data collection survey tool for osteopathy and a series of studies investigating adverse events in osteopathy. More recently she has taken on the responsibility and developement of a project to collect osteopathic patient reported outcomes. Austin graduated with distinction from the British School of Osteopathy in 2011, gaining a master’s degree. He joined the National Council for Osteopathic Research in 2014 to work as a research assistant. His role currently involves investigating means of disseminating research to the manual therapy professions. He analyses data from several of NCOR’s ongoing projects including patient reported outcomes and patient experiences surveys, and contributed to NCOR’s systematic review of paediatric patients in manual therapies. He was a research advisor to Osteopathy Today, the magazine of the Institute of Osteopathy, the UK’s professional association for osteopaths. Austin also organised NCOR’s 2017 conference on improving the management of persistent pain by manual therapists.